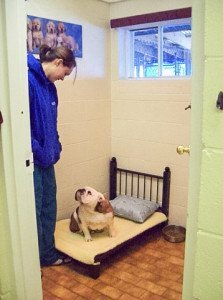 Home » News » Dog Blog » What is the difference between boarding kennels and dog hotels ? 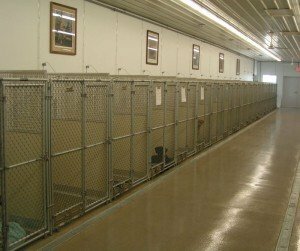 What is the difference between boarding kennels and dog hotels ? 1. Room construction, walls vs fence, Crate free is considered a must. There is a chain operating in North America that uses the label Motel. My husband is British and I remember trying to explain to him the difference between Motels and Hotels. I immediately went to the typical 60’s and 70’s construction of drive your car up to an outside door that accessed your room directly. He brought up a modern day chain, known to us all, that happily calls itself a motel, but in northern climes has a front door, lobby and hallways leading to rooms. I realised the difference was greater than mere construction and spoke to service offerings as well. When we as pet parents began using boarding facilities for our dogs and subsequently cats, we realised this difference even more acutely. Lets start with the basics, of construction. The first thing we will do with everything is merely help discern the physical difference between a boarding kennel and a dog hotel. As you can see from both examples given, part or all of the dividing walls are actually comprised of fencing and the doors are fences or gates rather than actual doors. Also note that the dividing fences do not go to the ceiling. Your dog may not be a climber, but please note that many are. As you can see the walls are solid and the room is an actual contained room as you and I would expect to stay in. Ceiling, door, windows etc. Why is it important that your dog have “privacy”. First understand we are saying privacy not isolation. 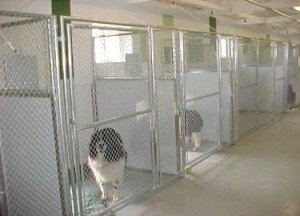 In the interests of saving effort (man hours) well intention-ed designers used gates or clear glass doors for the individual dog areas in kennels. 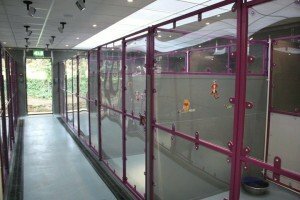 The logic is clear, in the case of fencing they are inexpensive and the glass is still less expensive than solid steel. You can quickly see what everyone is doing and there is the perception that less interaction is necessary because the ability to see the other dogs provide stimulus. Unfortunately sensory overload is a very common issue with “kenneled” dogs. 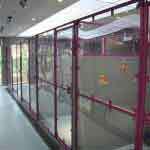 A glass or fenced door works in infrequently used areas. A dog is able to settle when there is no reason to get up and see what is happening. The issue is a kennel with little activity is not what most of us are looking for. Drainage: This is such an important issue, but one that seemingly is only discussed amongst pet care providers when in the construction phase. The pros and cons of different types of drainage are well known amongst those delivering care, but more pet parents need to be aware of these pro and cons. Some older facilities may still have one drain with sloped floors, but the increased labour of cleaning all the dogs caught in between the oops and the drain have led many to invest in upgrades. Because of the cost of construction the most desirable form of drainage, those of individual drains per room or area is unfortunately the least used. Whilst I truly believe only boarding facilities with individual drains should be considered for the title of “Dog Hotel”, there are so few that we will leave it to you to decide. By far the most common form of drainage is the communal ditch or gutter. .When considering facilities with gutter drains pay attention to where they are located. The most hygenique placement for the sake of your dogs is outside of their access. Some facilities will choose not to place them in this position as it means they are visible to you the client and without increased vigilance and cleaning can increase odour or at least make it more noticeable to you. By placing them at the rear of the room and away from visiting or touring parents there is an increase of contamination. The grates preventing your dog from stepping into the gutter need to be removable for cleaning of hair and other debris. Whilst not every dog will, we all know that a dog can get into anything, and we don’t always understand why they would want to – but they do. Figure one illustrates a room with a rear gutter, aesthetically pleasing but remember that is communal and linked to a great number of rooms. Figure two illustrates the gutter placed outside of your dogs access and in the general hallway. Room Size: Whilst the old adage is “bigger is better”, that isn’t really the case with your dogs accommodation. A hotel will have a larger room than a kennel but it ceases to be beneficial if its “really large”. A boarding kennel will typically have a narrower space than a dog hotel. Does this make a difference ? I believe it only does when you are looking at the smaller spaces like 3 to 5 ft wide. 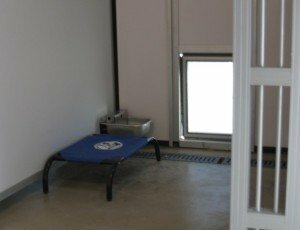 With dimensions like that it will be difficult for anyone to be in the space with them or to accommodate a bed, feeding area and have extra floor space for when they don’t want to be in their bed. Too large and it may encourage fouling. This isn’t their house and therefore they may feel different rules apply. Their instinct is that it is okay to have a toilet area as long as it is far enough removed from sleeping and eating. This can lead to an adjustment period upon your return home. For this reason we always say big enough to be comfortable but not so big as to be confused with anything other than a bedroom. Absolutely the finishing touches contribute to it being a dog hotel rather than a boarding kennel. Many have said that these touches are for the parents and not the benefit of the pet. I disagree with that wholeheartedly for two reasons. 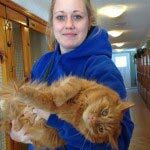 One is that if our pet parents feel comfortable and identify with the comforts then their pet will pick up on their comfort and begin their vacation in an accepting and stress free way. The second is that while the dog may not have an appreciation of the aesthetics of the particular painting chosen, they do recognise variation between colours, textures, patterns and I believe understand what a typical house looks like vs a totally new environment of an unrecognisable style with nothing familiar to their normal surroundings. For that reason pictures or some sort of variation to wall surfaces, raised beds off the floor, music and plants can definitely set everybody at ease. Living in Ontario we are acutely aware of extreme temperatures. Winter daytime temperatures consistently below zero, let alone night-time lows, summer highs hitting 30 degrees Celsius make climate control essential. Hard to believe but it is still common to discover barding kennels without heating or air conditioning. Of course a hotel will have both heating and air conditioning and should be able to guarantee consistent winter temperatures of at least 68F and summer internal temperatures of no more than 72F. You would feel cheated if you arrived at your people destination called a Resort, only to discover it was a roadside facility with no pool, grounds, gym, dining etc..the same can be said for pet facilities. The location and setting should be conducive to a resort. Acreage that is actually being used for the enjoyment of the guests. 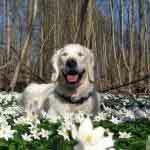 In the dog world they want used trails, lots of safe outdoor play space and fun stuff to do. Everyone has different likes and dislikes. camps make everyone do the same thing. A resort allows everyone to enjoy their vacation, whether they want an action packed adventure or a relaxing break resting and being pampered. Kitchens providing the ability to prepare freshly cooked meals, treats or at least accommodate the preparation of non-commercial food brought from home, is a standard of a hotel and a rarity among kennels. The Pet care industry has evolved over the years. Tracing this evolution can help understand where some of the existing pet care providers came from and possibly forgive the lack of evolution in some areas. 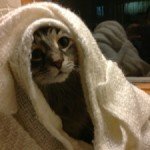 First we need to consider the change in the last 30-40 of our pets circumstances. 30 years ago it was 50-50 as to whether you had an “inside” or “outside” dog. Growing up my family had that in between arrangement. Our dog was allowed inside at night, with restrictions. He could come in the back door and without going on any carpet areas, was allowed downstairs to sleep in the basement. Now our family lives inside with us and its a 50-50 as to whether she sends the Whole night on our bed, or only part ! The level of care afforded to our family pets has grown. Originally your boarding options were your Mom’s house or a friends backyard or even friendly local farms. Eventually that favour asked of friends and family that you used to rewarded with a souvenier from your trip became a friend or neighbour checking on your dog in your backyard in return for a case of beer or a reciprocal arrangement when they went holiday. For those who didnt have family locally there were those stay at home moms or family of dog breeders who would take a few pets at a time for boarding. As word grew and more people moved to different cities for work, so did the business relationship between those bringing in pets. It stopped being at the discretion of the Pet PArent to repay and became a fee for service. Sheds were modified in backyards. 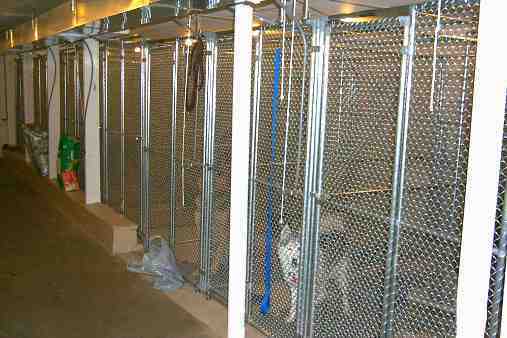 The breeders added more kennels. 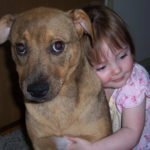 It was easy to do because remember most dogs lived outside most of the time pet owners were just thankful to find someone to keep their dog safe and fed. As the industry grew and more people needed to use the services, so did the number of providers. Unfortunately not all providers evolved with the changing needs and desires of our family pets and their parents. At the end of the day this is a business exactly like a nursing home or a daycare facility is a business. The liability and responsibility of caring for a family member is huge. When looking at a boarding kennels vs a dog hotel you will usually notice a difference in staffing. When staying at a travellers motel vs a luxury hotel, you will immediately notice a difference in the number of staff, let alone the professionalism and even diversity (trained cleaners and maintenance vs reception/jack of all). Proper training, both on internal procedures but also professionally on pet care is essential. Caring for someone else’s furry family is a specialist skill and requires patience, experience and acute informed observational skills, not something one necessarily develops by caring for one’s own pet alone. It stands to reason that if it isn’t listed, it isn’t routinely provided. Many boarding kennels offer a price based solely on size of dog. Most Dog Hotels are forced to do the same thing to be able to compete in a competitive marketplace. The difference is that a hotel will clearly quantify what you receive for that base rate and subsequently outline all the other services they offer. I.E. Customization ! Not all dogs are created with the same needs. Of course their basic needs are similar allowing for base rates, but beyond that; breed, age, temperament, accustomed lifestyle, sexual status (neutered or not..) and overall health can alter those needs and wants greatly. Rule of thumb, only your Mum will provide service without being compensated. If you aren’t paying for it, don’t trust it to happen. 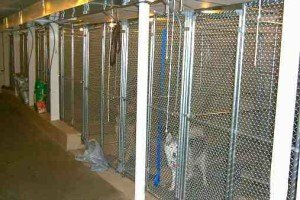 One Response to What is the difference between boarding kennels and dog hotels ? We used to board our dogs at the Royal Pet Hotel 30 years ago. Are you still the same family (next generation)? We then had a WHPGriffon and a Bouvier – later a Chesapeake. The care was excellent. We are looking for boarding 3 dogs, a Griffon, Irish Water Spaniel and a Springer. They are used to running on our 40 acres on the Niagra escarpment ( Beaver Valley) 3 or 4 days a week and getting a 20 min walk/run every AM the other days. They are ages 6, 6, and 7. What exercise does the basic rate include. I am particularly concerned if we take a 2 to 3 week trip. They are 60, 60, and 35lbs. Would one room be big enough? I look forward to your reply and perhaps renewing contact. 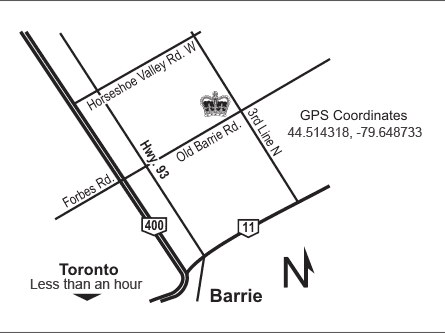 We now live in Nobleton which is more accessible to your location than our previous residence of many years.